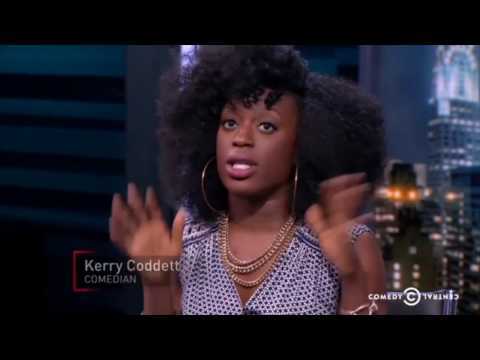 Kerry is currently a staff writer on Wyatt Cenac’s Problem Areas, produced by John Oliver, and airing on HBO. Kerry has also appeared on season 2 of HBO’s Crashing, and has made appearances on BET's The Rundown with Robin Thede and performed stand up on 50 Central. 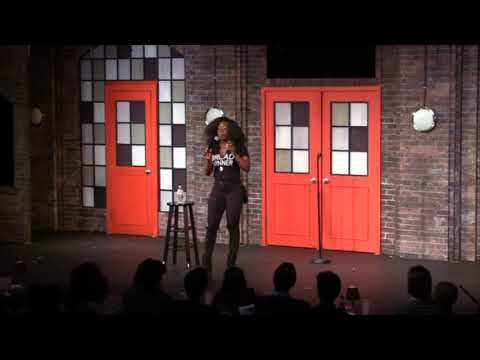 She was the most frequent guest panelist on Comedy Central's The Nightly Show with Larry Wilmore, a reoccurring cast member on MTV’s Joking Off and she’s also appeared on TruTV’s Comedy Knockout, Huffington Post Live, and Essence Live. In 2017, Kerry was crowned the winner of the Caroline’s on Broadway Comedy Madness Competition. Beating out 63 comedians, she was also the first woman to win! Kerry has performed stand up at the New York Comedy Festival, The Women In Comedy Festival, The Brooklyn Comedy Festival, and Eugene Mirman Comedy Festival. She’s the host of Brooklyn, Stand Up! !, a monthly stand up comedy show that has been listed in The Village Voice and the New York Times, she has also been a guest co-host on The Young Turks, and she co-hosted Wake Up! w/ Taylor (Sirius XM) multiple times.